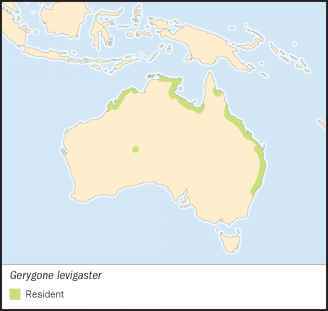 Gerygone levigaster Gould, 1843, Port Essington, Northern Territory, Australia. 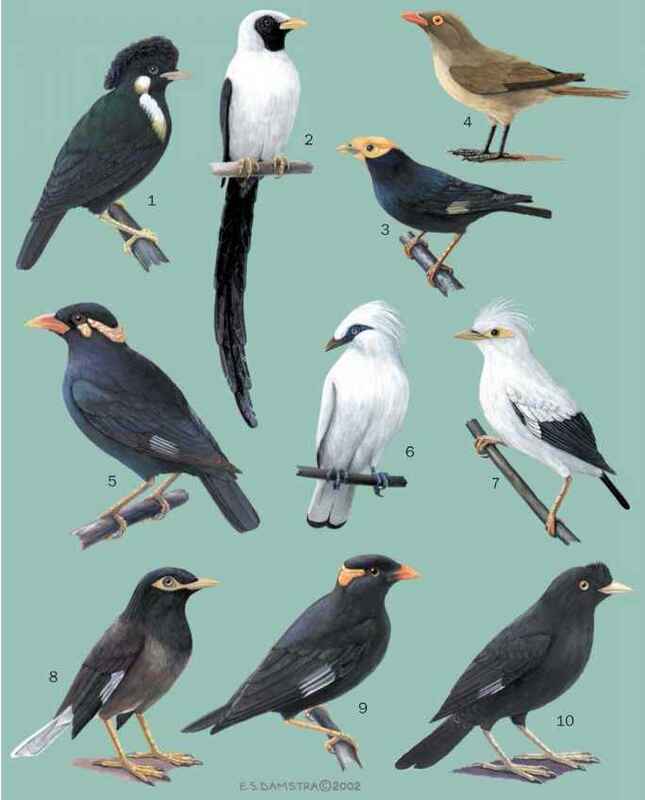 English: Mangrove warbler, buff-breasted warbler; French: Gerygone des mangroves; German: Mangrove-Gerygone; Spanish: Ratona Hada de los Mangles. 4 in (10-11 cm); 0.25 oz (7 g). A tiny bird with a brown back, white underparts, and a white brow. Coasts of northern and eastern Australia south to Newcastle. Also small area in southeastern New Guinea. Mangroves and neighboring vegetation, sometimes rainforests and gardens. Active and fairly tame. May be migratory at southern part of range. Attractive, whistling song and soft chattering notes. Gleans, snatches, and hovers at outer foliage of mangroves and other trees for insects. Breeds from September to April. Oval nest is suspended from foliage of mangroves and has a hooded side entrance. Two or three pinkish, speckled eggs.